Ha! A mere three years between blog posts! This summer I've been going through my 20+ years' worth of quilts and sewing treasures. 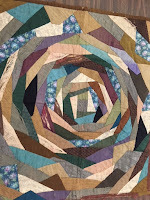 Everything from fabrics to UFO's to antique quilts. 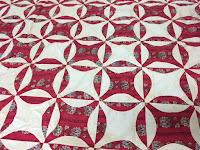 And this blog focuses on the vintage stuff so...my collection of quilts is, hmmm, eclectic. 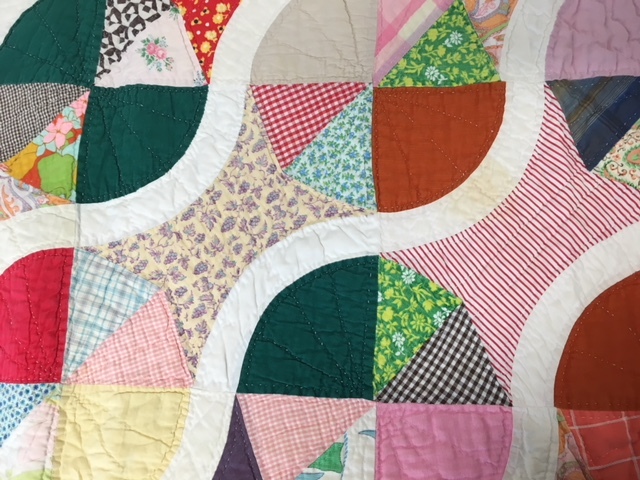 As I take quilts from black garbage bags where they lived between the old studio and the new shed, I re-fold and re-appreciate some of these vintage treasures. From time to time, when I give a lecture, I have threatened to simply do it in mime and hold up quilts. Most people would be just as glad to see eye candy go past and might even stay awake through the evening too! This blog is rather like that--mostly images and a little text. The following are the results of photographing two bags of quilts. 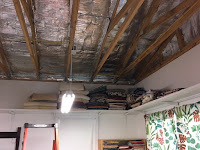 Now refolded, the quilts go up high in the new shed. 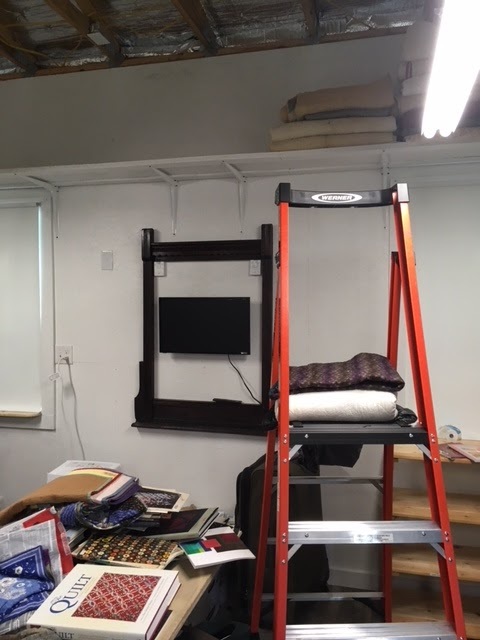 I use a special safety ladder to access them. 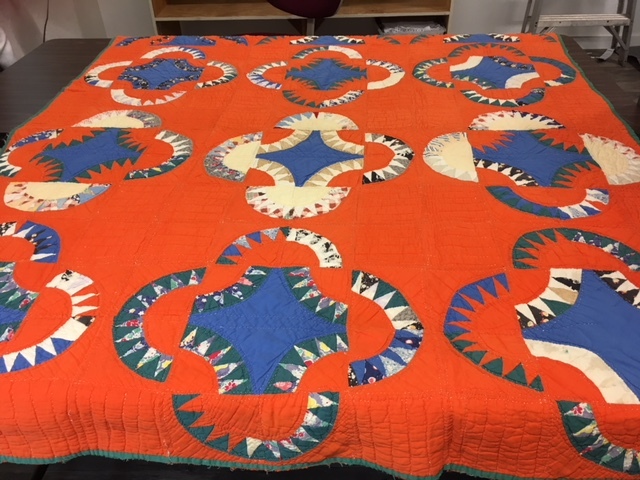 A vintage Baby Bunting quilt from Texas, maybe from the 1940s. The maker loved her bright colors. Some of the lavenders have completely faded but dang, that orange will last forever! As long as the pattern has curves, I'm interested. 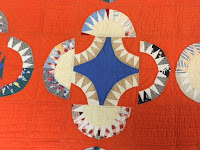 This quilt top is from the 1850s and no, I'll never finish it. It just needed to come home with me. 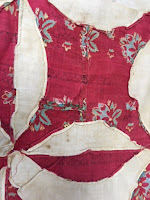 From the back, you can see the red print has been pieced three times and the maker's stitches are tiny and precise. From the way the seams are folded over smartly even after 150 years, am pretty sure this was made using paper templates. 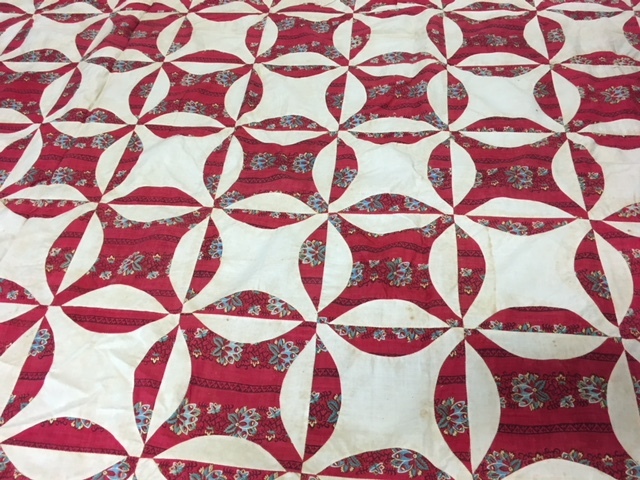 One of the first antique quilts I bought. 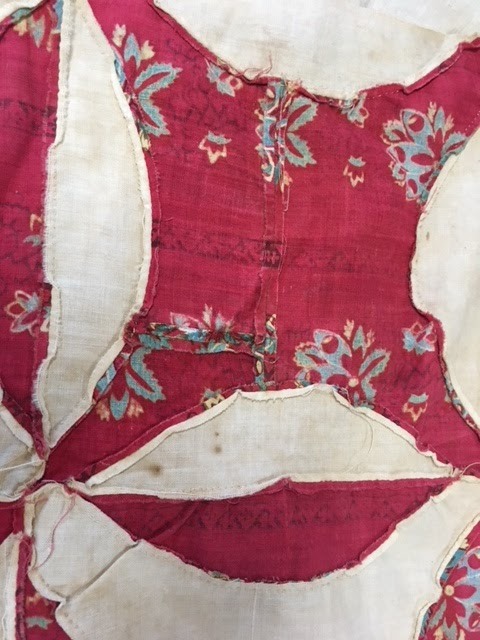 A wool and wool blends baby quilt from Pennsylvania with late 1800-early 1900s fabrics. 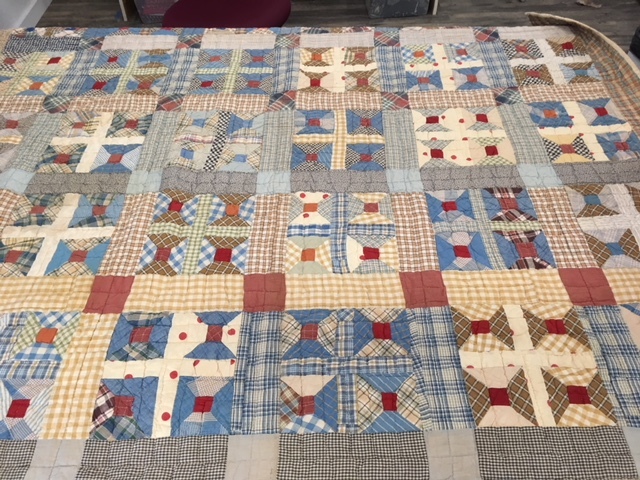 Guess I'd call it a crazy quilt but it does begin with a square in the middle like a Log Cabin pattern. Maybe the baby was coming and she felt the need to 'get going' and finish the quilt! 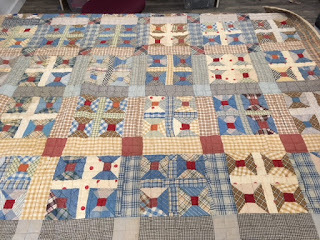 This Spools quilt is from Texas and displays almost all plaids. Love this quilt. It has a sort of honesty about it. Bought in an online auction. 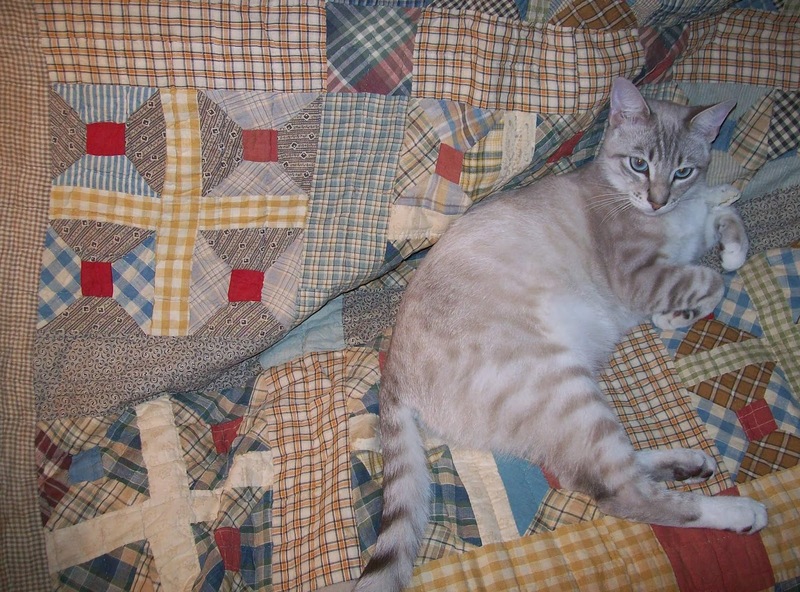 And this quilt is 'cat-approved' as well. Another curved piecing quilt and this time I have no idea of its name. From an online auction. 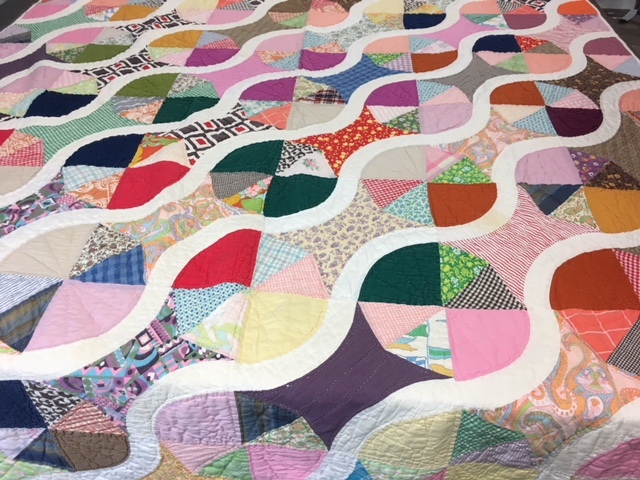 The quiltmaker combined smooth curves with pointed pie wedges within the block--what an unusual pattern. All for now. 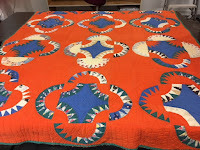 But I will photograph more quilts as they emerge from their bags.